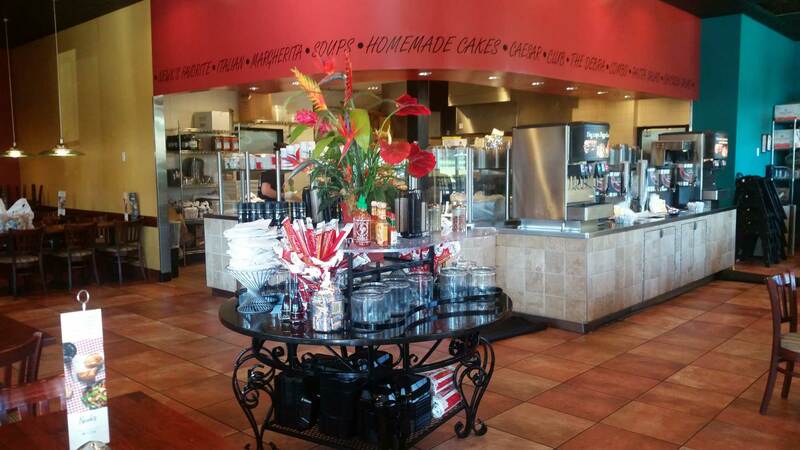 Newk’s Eatery wanted to improve search engine rankings for their 23 corporate locations. By taking a good look at the company’s current positioning, initiating a deep analysis on the competition and latest market trends, we improved their rankings with a custom and innovative IBSO (Intent Based Search Optimization) Plan with an emphasis on SEO, Google Business Page Optimization, Google Maps Listings and YouTube Optimization. From the inception of our IBSO led Digital Marketing Campaign, Newk’s Eatery experienced dramatical growth in a number of areas, especially traffic, compared to the previous year. Why Are So Many Business Owners & Digital Marketing Agencies Using SEO SEM Professionals Services? Because are The Only Company that has successfully combined IBSO (Intent Based Search Optimization) with AI (Artificial Intelligence), making us one of Top Ranked National SEO Experts in the United States. We successfully rank our clients across multiple mediums, not just Google because we capitalize on a company’s Discoverability and Availability. We know this new era of search is increasingly influenced by engagement metrics & user behavior signals. We are on the cutting edge of technology, utilizing tools such as SEO, SEM, Google Business Optimization, Google Maps Listings, Conversion, Google Actions, Alexa Skills, Geo-Fencing, Market-Leading Intent Data Solutions, Real-Time Technologies & Powerful Analytics… All infused with Artificial Intelligence. Our IBSO combines Rich Data Assets with Robust Technology to provide clients with a seamless and connected view across all channels. Essentially, we have developed one of the most effective solutions for optimizing search at scale! As you will see in our posted examples, our National SEO Campaigns render excellent results. We utilize an array of components, including cutting-edge software tools and more that allow us to increase traffic and positioning. We also possess years of experience which is our most valuable asset. The demand for Local SEO has heavily increased over the past 2 years emphasizing maps rankings. We get our clients within the top 3 positions in the Google Business Maps Listings and on the 1st Page for Organic Search on a regular basis. We have a proven methodology that achieves great results. A brand is no longer defined by the business owner – it’s defined by what consumers tell each other. Reputation Marketing is the business owner’s proactive tool that utilizes consumer communication to define the brand as it should be. Take control concerning what people are saying about your business. We hold a number of professional certifications in SEO, Inbound Marketing (Hubspot), Conversion and Analytics. Digital Marketing is at our core and we offer many different services to help you reach your goals. There are no cookie-cutter shortcuts here. All of our marketing plans are custom to fit your business. SEO & Reputation Marketing Analysis for FREE! Free SEO website grade and report. Free local business online reputation marketing grade and report. Free social media grade and report. Free rankings report with strategy roadmap. #1 in the nation for "King Air Parts Specialists" in 30 days. Davis Aviation reported a dramatic increase in sales as a result. Pennington & Trim Alarm Services wanted to dominate locally owned competitors for the most searched keywords in the security alarm system field for the local metropolitan area that they service. In just a few weeks, we helped them get to number one on the SERPs and Google Maps which not only helped them beat the locally owned competitors but the national competitors with local offices. Newk's Eatery wanted to improve search engine rankings and get a better handle on online reviews for their 23 corporate locations. By researching the most popular keywords used in their category, we improved their rankings and set up a system to monitor and manage online reviews.In only 3 ½ months, we increased traffic dramatically compared to the previous year. Within 45 days, SEO SEM Professionals helped Apex Electric increase their website's ranking to the first position on page one for Electrician in the local area creating a noticeable increase in phone calls and customers.